Since the 1970s Kosovo has tried to establish an independent and effective foreign policy. Decades later the search for international recognition continues. 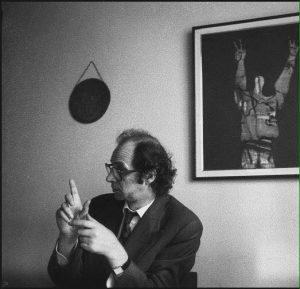 One of the main defining characteristics of Ibrahim Rugova, the popular Kosovo Albanian leader and president, was his mantra of ‘formal recognition of Kosovo’s independence,’ which he repeated regularly at weekly press conferences in Prishtina or during interviews and meetings with foreign media and politicians for more than a decade. When in March 1998 he received a recognition letter by the Dominion of Melchizedek, it seemed that his calls were finally being answered. At a press conference in Prishtina, Rugova proudly announced Kosovo’s recognition by the Dominion of Melchizedek and the plan to establish diplomatic relations and exchange ambassadors. As it turned out later, the letter was sent by a U.S. citizen, who had proclaimed himself the head of the phantom state. This was an absurd situation where two self-styled non-existent states (established for very different reasons) had recognized each other. 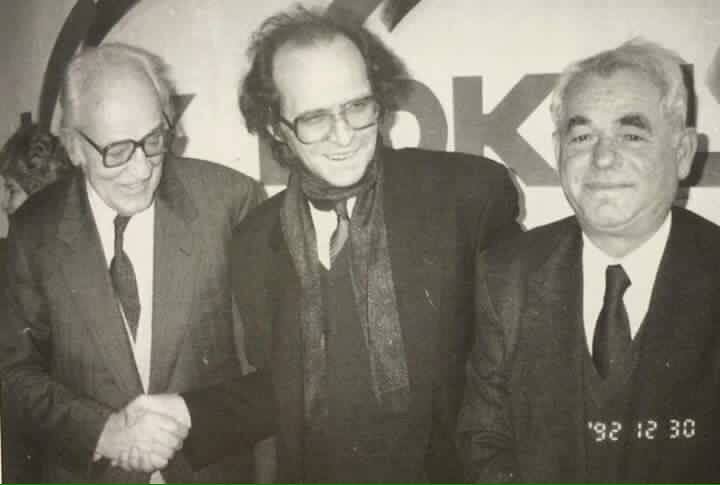 Melchizedek was not an international heavyweight, but Rugova thought it was the beginning of what he hoped would be a long line of recognitions from other countries, and that it would help bring Kosovo into a new independent era without war. This would be the culmination of decades of Kosovars’ struggles to represent themselves abroad independently from Serbia. In fact, almost two decades later and more than eight years since declaring independence, Kosovo is still struggling to build an effective foreign policy and establish its statehood identity internationally. Kosovo’s efforts are hindered both by lack of domestic institutional capacities, politicization of the service, institutional overlap, as well as international constraints. Kosovo’s struggle for international predates its independence, including the period under socialist Yugoslavia, the ‘parallel system’ in the 1990s, as well the almost decade-long UN administration. Internationally, Serbia, Russia, Spain, and other states have fiercely opposed Kosovo’s declaration of independence. Moreover, the declaration of independence without approval from either Serbia or the UN Security Council of the UN, UNSC, has resulted in a limited number of recognitions. As of November 2016, some 110 (despite claims that Nigeria and Uganda recognize Kosovo, no official confirmation has happened as of yet) UN members have recognized Kosovo, and the new country has succeeded in becoming a member of the World Bank, the International Monetary Fund, the European Bank for Reconstruction and Development, the Council of Europe Development Bank, as well as some regional bodies, but membership in the UN, as well as the Organization for Security and Co-operation in Europe, OSCE, and the Council of Europe, CoE, is still not in sight. As a result, Kosovo still remains a contested state, a political entity that is denied conventional international recognition, typically through membership at the UN. Kosovo’s struggle for international recognition and cooperation predates its independence, including the period under socialist Yugoslavia, the ‘parallel system’ in the 1990s, as well the almost decade-long UN administration. In the past, Kosovo made several attempts to engage in foreign policy. This was also the case in socialist Yugoslavia, especially in the aftermath of the expansion of Kosovo’s autonomy in the 1970s. In this period, Kosovo’s legal status was elevated and as a result the Socialist Autonomous Province of Kosovo obtained its own constitution, parliament, government, central bank, constitutional court, as well as representation in the federal institutions independent from the Socialist Republic of Serbia. In addition, institutions of Kosovo could conclude bilateral economic agreements with other external institutions through its Secretariat for Relations with the Outside World (Sekretariati për Marrëdhënie me Botën e Jashtme), which functioned as part of the Executive Council (the highest executive body in Kosovo), after approval by the organs of the Socialist Republic of Serbia and the Socialist Federal Republic of Yugoslavia, SFRY. 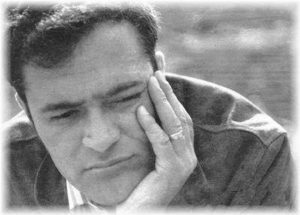 Ukshin Hoti led the Secretariat for Relations to the Outside World. | Photo courtesy of the Hoti family. According to Kosovo’s 1974 Constitution, Kosovo’s Assembly had competences in discussing, concluding, and ratifying international agreements with external bodies, regions, states, and organizations, in accordance with the Yugoslav Constitution and its foreign policy framework. Indeed, Kosovo’s institutions had signed a number of agreements with international financial organizations and states. The Secretariat for Relations with the Outside World was established and led by a distinguished university cadre, Ukshin Hoti, who held an MA in International Political and Economic Relations from Belgrade and had been a visiting scholar at Harvard. According to Hoti, his main aim was to forge an “authentic Kosovar foreign policy” and establish closer ties with regions and states of interest to Yugoslav Albanians, such as Albania and various western countries where Albanians lived. 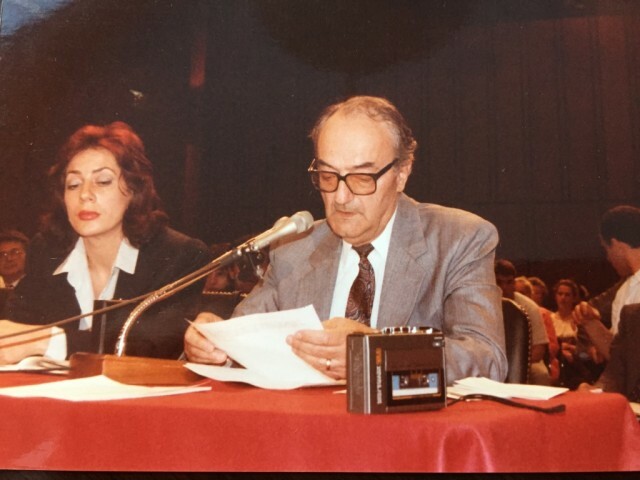 Hoti was succeeded by another distinguished academic figure from Kosovo, Zejnullah Gruda, who also had previously served the Yugoslav ambassador in Panama. Several Kosovo Albanian officials served as Yugoslav ambassadors to various countries. However, following the 1981 protests and the increase of federal and republican control and oppression in Kosovo, Kosovo’s autonomous institutions had their powers curbed. The next attempt to engage in international policy was made in the 1990s, when in response to the crisis in the Yugoslavia and the forcible abolition of its autonomy by Serbia, Kosovo declared its independence in 1991. Although no other state apart from Albania recognized the will of the people of Kosovo for independence at that time, the newly created institutions of the ‘Republic of Kosovo,’ known as the ‘parallel system,’ attempted to exercise foreign policy functions to mobilize international support for Kosovo. The Kosovo Assembly declared Kosovo an independent republic in 1991. 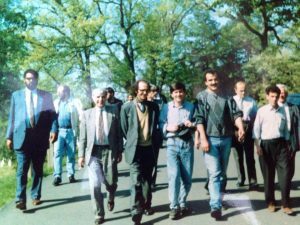 The 1990s peaceful resistance came to be epitomized by the country’s leader and president Ibrahim Rugova. | Photo: Facebook. Initially Kosovo opened a permanent political representation office in Tirana to serve the leaders of the Kosovar parallel system as the gateway to the world in their campaign to amass support for the movement itself and for Kosovo’s independence. At the same time, hundreds of LDK branches sprouted from the Balkans to Western Europe and North America. These branches were later organized in a collegium that was based in Stuttgart, Germany, led by Hafiz Gagica. Although the Government-in-exile included people from other Kosovo Albanian parties and former communist officials, LDK’s dominance in political organization (of the diaspora) and representation was almost total. In the US, where the older Albanian diaspora (mostly anti-communist) was organized around Vatra (The Hearth) and the Albanian American Civic League, AACL, founded by the U.S. 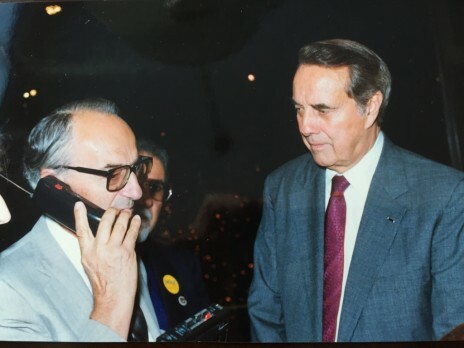 Congressman Joe DioGuardi and a handful of Albanian-American businessmen in 1989, LDK’s decision to establish its branch in the US sparked a rivalry over lobbying and monopolizing representation. The Albanian American League hosted Rugova in Washington DC in 1990, where they lobbied for increased American support for Kosovo Albanians. The delegation included most of the the political leaders and civil activists known as the Kosovar Alternative From the left Shaqir Shaqiri, Ibrahim Rugova, Jusuf Buxhovi, Anton Berisha, Halil Matoshi. People such as Ibrahim Rugova (acting as the ‘President of the Republic of Kosovo’), Bujar Bukoshi (head of the Government-in-exile) and Edita Tahiri (LDK’s and Rugova’s foreign relations representative and self-styled foreign minister) were the main people engaged in foreign policy and lobbying. In fact, when Kosovo’s shadow government was established in 1991, the post of foreign minister was left vacant. Bukoshi claims that he exercised the competences of a foreign minister as well. 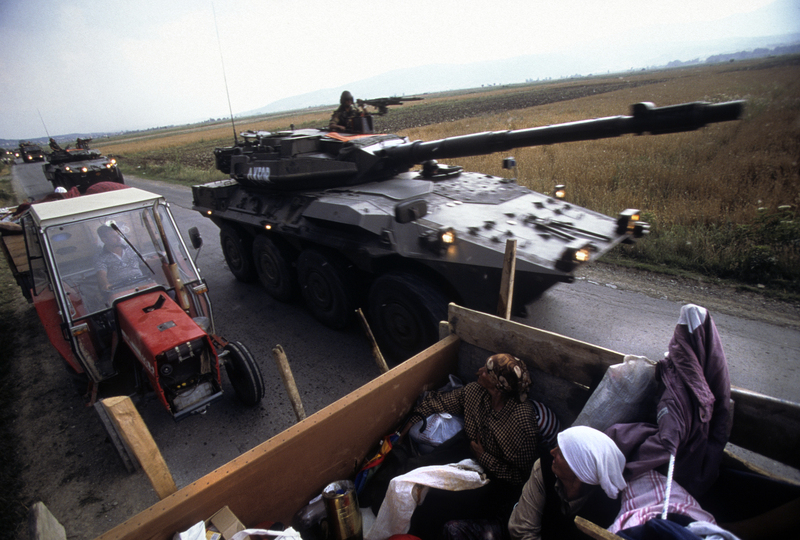 LDK’s and Rugova’s policy relied almost exclusively on external intervention in Kosovo. Rugova, Bukoshi, Tahiri and the others relentlessly knocked on the doors of the main political international organizations, political parties, NGOs, think-tanks, parliamentary committees, human rights groups and national governments worldwide. Yet, despite numerous consecutive efforts and multiple visits and meetings, they received little more than polite receptions and expressions of sympathy for their commitment to nonviolence. Due to LDK’s total dominance of the ‘parallel system,’ LDK and the institutions of the ‘Republic of Kosovo’ overlapped in almost all spheres, including foreign policy. Yet, an inner conflict between Bukoshi’s Government-in-exile and Rugova and the LDK in Kosovo surfaced in 1994. This conflict was in many ways a reflection of the clashes between various factions within the LDK. A prime example of this conflict was the disagreement between Rugova and Bukoshi regarding the head of Kosovo’s Representative Office in Tirana, the only one with actual diplomatic status. 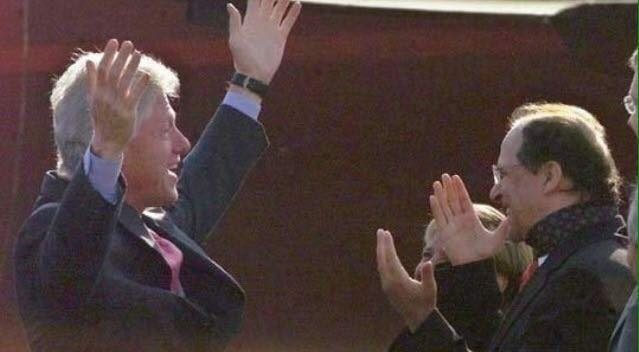 In 1994, two people, Skender Zogaj and Anton Kolaj (both from LDK), claimed to have been appointed by Bukoshi and Rugova respectively. A compromise was achieved eventually in 1995, when Zogaj was succeeded by Iljaz Ramajli, a lawyer and former deputy-head and later head of the Kosovar Assembly that declared Kosovo a Republic on July 2, 1990 and promulgated the ‘Constitution of the Republic of Kosovo’ two months later (September 7). Although for most of the 1990s, Rugova held the mantle of the political leader of ‘Kosovo-Albanians’ internationally, his leadership as well as the right to speak on behalf of Kosovo was challenged by a number of underground organizations and above all by the Kosovo Liberation Army, KLA, which appeared in the mid 1990s. KLA’s political representatives such as Hashim Thaci and Bardhyl Mahmuti gradually emerged as interlocutors to international diplomats. In fact, the KLA’s representative played a key role during the Rambouillet Conference, convened in February 1991 by the international community in an attempt to bring the Kosovo war to an end. The election of Hashim Thaci as the head of the Kosovo Delegation at the Rambouillet Conference was the biggest challenge to Rugova’s and LDK’s political hegemony in Kosovo. 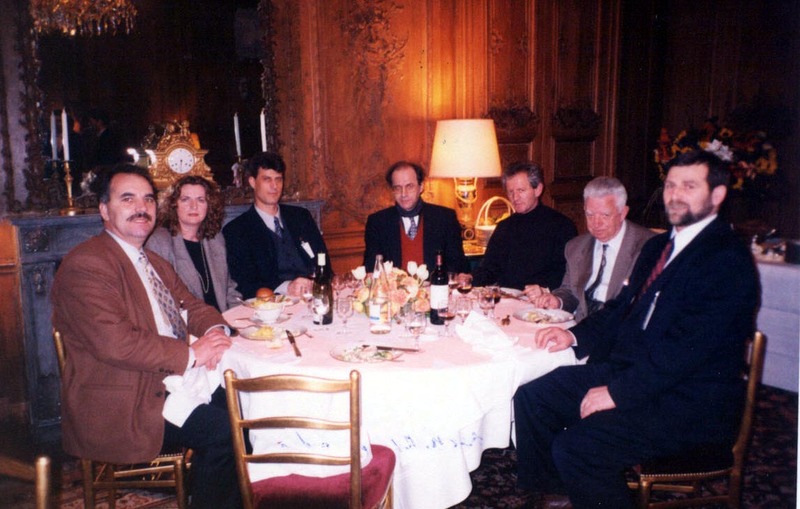 An internal agreement among Kosovo political representatives at the Rambouillet Conference foresaw the creation of a joint body/government led by KLA. 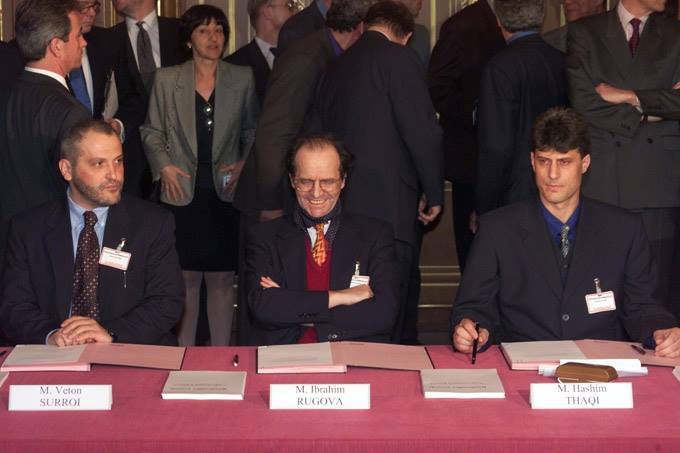 Although the Rambouillet Agreement became void following Serbia’s refusal to sign it (which triggered NATO’s military intervention), the KLA leadership decided to honor the intra-Albanian accord by announcing the establishment of the Provisional Government of Kosovo in April 1999, led by Thaci himself. Although the post of the Foreign Minister was reserved for an LDK representative – LDK did not join or recognize the Provisional Government – it was later filled by Bardhyl Mahmuti (an Albanian from Macedonia) from the KLA. The UN Resolution 1244 vested all legislative and executive powers in the hands of the Special Representative of the Secretary General. 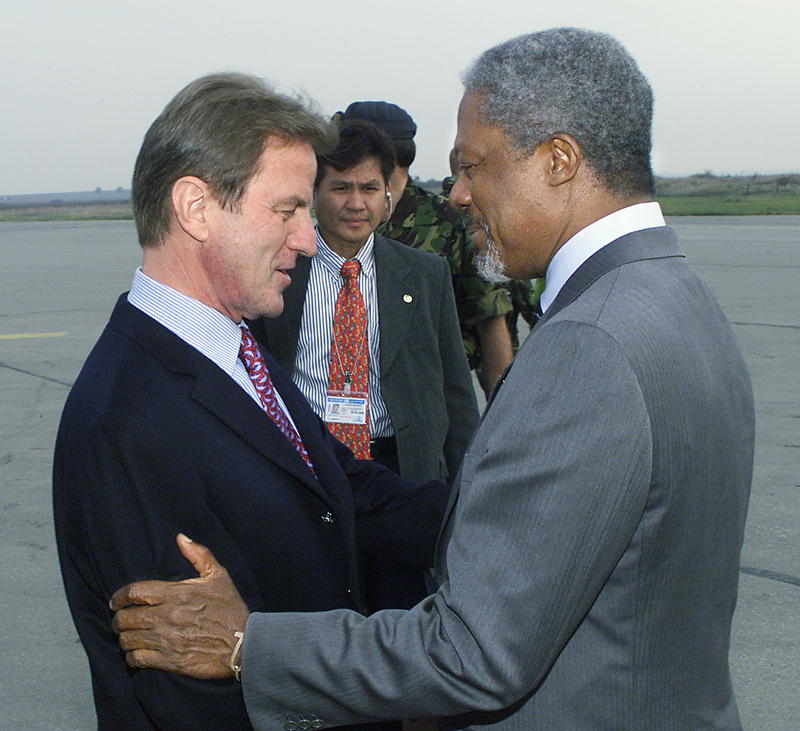 In the period under international administration between 1999 and 2008, UN Resolution 1244 vested all legislative and executive powers, including the administration of the judiciary, in the hands of the Special Representative of the Secretary General, SRSG, Bernard Kouchner and the United Nations Interim Administration Mission in Kosovo, UNMIK. Irrespective of the fact that as of 2001 Kosovo had its own democratically elected institutions, foreign policy remained a competence exclusively of UNMIK and the SRSG, including the mandate to conclude agreements with states and international organizations. UNMIK signed many agreements on behalf of Kosovo with other states and international organizations on free trade, loans and other related issues. Kosovo PM Bajram Kosumi was the first official to be allowed to attend the UNSC, without the right to speak in February 2006| Photo: UN. Although Kosovar leaders attempted to assume some foreign policy powers through the establishment of the Office of International Cooperation and Regional Dialogue within the Office of the Prime Minister in 2004, it never managed to become a credible structure to deal with foreign affairs. The office was led by Enver Hasani, a university professor from Prishtina, who would later serve as the head of Kosovo’s Constitutional Court. Previously he had worked as a Legal Advisor at the Ministry of Foreign Affairs of the Republic of Albania between 1992 and 1997 and was part of the Kosovo Albanian delegation at the at the Rambouillet Conference in 1999. With its international status unsolved, Kosovo leaders sought to increase their presence in spheres of international engagement through outsourcing of foreign policy. Such steps included contracting international lobbying companies, such as the Independent Diplomat, a non-profit advisory group, or the use of Honorary Ambassadors and Consuls. Kosovo’s institutional leaders could occasionally be part of the UNMIK delegation on foreign visits or UN Security Council discussions on Kosovo, but they had no right to speak or sign anything on behalf of Kosovo. Prime Minister Bajram Kosumi was the first Kosovo official to be allowed to accompany (without the right to speak) the SRSG at the UNSC meetings on Kosovo in February 2006. Kosovo leaders intensified their lobbying during the negotiation process on the future status of Kosovo in 2005-2007, mainly through the Kosovo Negotiation Team, which was established in Autumn 2005 and comprised key government and opposition leaders, as well as independent experts. Weeks before the declaration of independence, Kosovo was in a celebratory and anticipating mood. 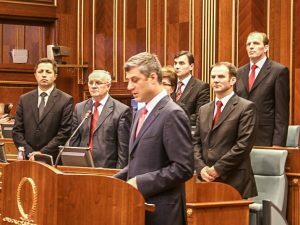 On February 8, 2008, Kosovo’s new Prime Minister Hashim Thaci told a news conference “We have confirmation by around 100 countries that they are ready to recognize Kosovo’s independence immediately after we declare it. We will have a powerful and massive recognition.” It all seemed set for a smooth transition to statehood and international recognition. Within days of the declaration of independence, Kosovo was recognized by the United States, the main EU countries and some other major states. By June 2008 Kosovo was recognized by some 43 countries. 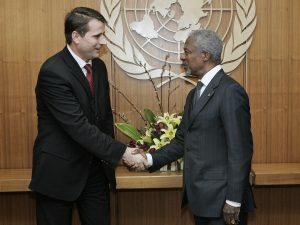 After that summer, the number of new recognitions dropped dramatically, largely due to Serbia’s decision to file a request at the United Nations seeking opinion of the International Court of Justice, ICJ, as well as an intensive campaign to prevent recognitions led by the then Minister of foreign Affairs of Serbia, Vuk Jeremic. Hashim Thaci reading the Declaration of Independence on February 17, 2008. Despite the declaration of independence, owing to the inability of the Security Council to terminate UNMIK’s mandate, the latter still nominally retains foreign policy and external representation competencies. UNMIK does not sign treaties on behalf of Kosovo anymore, but continues to act in a liaising capacity in relations with various international organizations that do not recognize Kosovo such as the UN (although at the Security Council meetings on Kosovo, the latter is represented by its Minister of Foreign Affairs or the Ambassador in Washington), OSCE, Interpol, et cetera. The Ministry of Foreign Affairs and Diplomatic Service of Kosovo was established in March 2008, just weeks after the declaration of independence. In June 2008, just days after the entry into force of Kosovo’s new constitution, the President of Kosovo decreed the opening of the first Kosovar embassies in the US, the UK, Germany, Italy, France, Austria, Switzerland, Belgium, Albania and Turkey. Months later, the first foreign representatives were appointed to fill the posts in these embassies. Later on embassies in Japan, Saudi Arabia, and more recently in Australia and Panama were opened, thus increasing the number of embassies to 25 (including a Special Office in Cairo, Egypt). Likewise, by 2016, Kosovo has accredited 27 Consular Missions in Europe, North America, and Asia. As of June 2009 they begun to offer consular services to Kosovar citizens living abroad. In addition to political or traditional diplomacy – government-to-government contacts and relations – public diplomacy has become a means of influencing public opinion at home and abroad. Public diplomacy refers to cases in which foreign policy institutions target wider political audiences, including civil society. Having to struggle with incomplete international recognition as well as a damaged image, Kosovo made several efforts to improve its international position and reputation through the use of public diplomacy. Kosovo engaged in several public diplomacy efforts that include an expensive nation branding campaign, “The Young Europeans,” launched in 2009, as well as a joint initiative by the Kosovo Foundation for Open Society, KFOS, and the British Council called “Kosovo Calling” aimed at engaging in public diplomacy through debates with policy-makers and intellectuals, public figures and politicians from the countries that have not recognized Kosovo so far. In another move to establish its separate international subjectivity, in July 2013 Kosovo started a visa regime for citizens of 87 countries, including China and Russia, the two UNSC members that oppose its independence. Due to Kosovo’s limited diplomatic presence, citizens of countries that require visas to enter Kosovo, especially the ones from African countries, will need to travel thousands of kilometers, across countries and even continents to reach a Kosovar consular mission and apply for visa. In the first weeks and months of 2008, Kosovo’s institutions were rather passive and disoriented in the realm of foreign policy. For a number of years after the declaration of independence, the main foreign policy priority of Kosovo was recognition by other states as a way of increasing its international subjectivity and consolidation of statehood. Despite high initial expectations for quick and massive recognitions, it took more than five years to reach 100 recognitions. Although the Kosovar government declared foreign policy and recognition of Kosovo a priority, Kosovo’s institutions fell short of developing a comprehensive foreign policy platform and lobbying strategy. By the time Kosovo declared its independence, its foreign policy was rather non-existent, both in the context of institutional mechanisms and foreign policy platform. Therefore, in the first weeks and months of 2008, Kosovo’s institutions were rather passive and disoriented in the realm of foreign policy. Their exclusive reliance on Kosovo’s sponsors and supporters to achieve international recognition was in essence a ‘Wait and Hope for the Best’ approach. In the meantime, domestically, Kosovo’s main ruling parties, the Democratic Party of Kosovo, PDK, and LDK, which in many ways are the successors of the 1990s Kosovo Albanian military and peaceful movements, respectively, were engaged in an internal debate, first about the post of the minister of foreign affairs, and later on Kosovo’s first diplomatic representatives. These power-sharing debates overshadowed the more pressing need for a foreign policy platform and a lobbying strategy. Internationally, when the International Court of Justice found in 2010 that Kosovo’s declaration of independence did not violate international law, expectations were high that a new wave of recognitions would ensue. However, the decision had little effect on Kosovo’s international position because it failed to trigger a new wave of recognitions. This was an indicator both of the reluctance of states to recognize a seceding state and Kosovo’s inability to capitalize on the ICJ’s opinion. 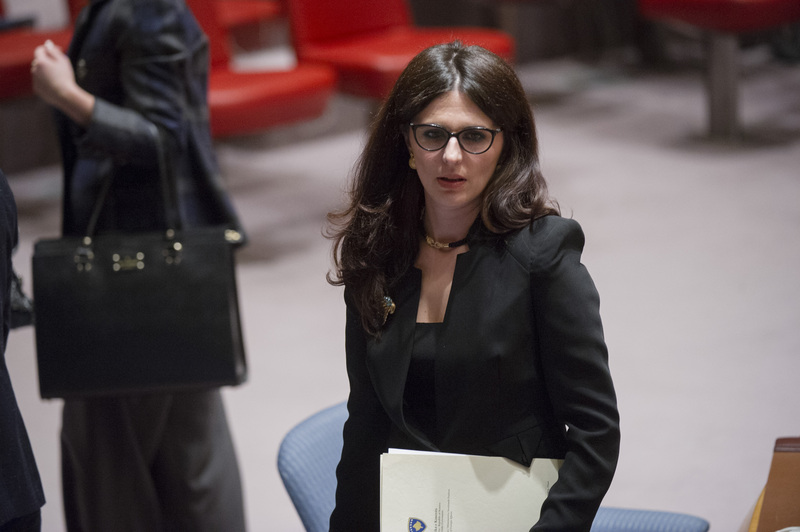 On the contrary, Serbia reacted swiftly by submitting a draft resolution to the General Assembly of the UN that dismisses the ICJ’s opinion and calls for new negotiations on Kosovo’s status. A modified draft resolution submitted by Serbia and the EU was adopted, thus paving the way for a dialogue between Belgrade and Prishtina without reference to the issue of Kosovo’s status. The content of this resolution in a way reflects Serbia’s agreement with the EU to move the Kosovo issue from UN fora to EU level. Close as it might have been, failure to join UNESCO remains the biggest failure in Kosovo’s foreign policy. Although Kosovo and Serbia have reached many agreements, including the one on Kosovo’s regional representation, which hoped to allow for Kosovo to sign new regional agreements for itself and participate in various regional organizations and meetings provided that the word ‘Kosovo’ is accompanied by an asterisk and a footnote, Serbia has proved to be a staunch opponent of Kosovo’s membership in international organizations. This became visible above all in the case of Kosovo’s application for membership at UNESCO in 2015. Despite the Brussels Agreement and talk of “normalization of relations,” both Serbia’s opposition to Kosovo’s participation internationally and the use of the asterisk persist. Membership in UNESCO was meant to herald a new era in Kosovo’s foreign policy, but it failed. | Photo: Kosovo in UNESCO campaign. Membership in UNESCO was meant to herald a new era in Kosovo’s foreign policy and a shift from individual recognitions to membership in international organizations. Close as it might have been, failure to join UNESCO remains the biggest failure in Kosovo’s foreign policy. Whereas the country failed to reach any major international political and cultural organization, it nevertheless made a breakthrough in sports first joining the International Olympic Committee, IOC, and more recently FIFA and UEFA. As a result, Kosovo participated for the first time at the Olympics, with judoka Majlinda Kelmendi making history in Rio by claiming the gold medal in women’s judo and becoming the first Kosovo athlete to ever win a medal in the Olympics. More recently, Kosovo’s football and basketball teams played their first official international qualifying matches. International affirmation through sport is altogether more important for Kosovo as a state with contested statehood and limited international subjectivity. In the modern world, sport enables countries to show their prowess and improve their image internationally. Majlinda Kelmendi wins gold in Olympics. Photo: Rio 2016. In addition, the Kosovo MFA has sought to improve perceptions of Kosovo in support of the country’s economic, cultural and political developments through the use of digital diplomacy. Increasing digital visibility has been an important government policy in Kosovo. This includes the establishment and use of various digital platforms targeting popular social media outlets such as Facebook and Twitter. Use of these modern means of diplomacy testify the need for Kosovo diplomacy to use alternative contemporary ways of international engagement and lobbying to ‘thicken’ its international presence, including on social networks, at a time when UN membership is still highly unlikely. Nevertheless, it is hard to tell whether this has produced any tangible results for the Kosovan diplomacy. Overall, Kosovo’s foreign policy was characterized by institutional overlap, lack of coordination and even internal party and personal rivalry to claim credit for recognitions. Initially, Kosovo’s first foreign minister, Skender Hyseni, a longtime adviser and interpreter for Rugova, was at the helm of Kosovo’s foreign policy representing Kosovo abroad, lobbied at the UN during the General Assembly sessions (where he was occasionally joined by prime minister and president), and coordinated the process of defending Kosovo’s declaration of independence at the ICJ. However, Hyseni was often criticized by the opposition and civil society for lack of transparency and his exclusive attitude in the lobbying process. In particular, he was criticized by the New Kosovo Alliance, AKR, party and its leader Behgjet Pacolli. A successful businessman and an ambitious politician, Pacolli embarked on a personal lobbying campaign for recognition. In addition to the lack of cooperation between the two, Pacolli and Hyseni often clashed in their attempts to claim exclusive merits for the recognition. 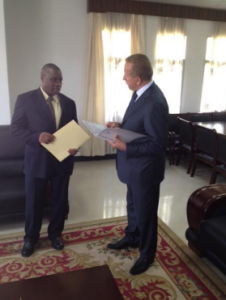 Deputy PM Behgjet Pacolli receiving the note verbale from Burundi’s Foreign Minister Laurent Kavaku. | Photo: Facebook. Pacolli’s involvement in lobbying turned out to be controversial on a number of occasions. In 2009, following the recognition of Kosovo by Maldives, for which Pacolli claimed credit, allegations emerged about a potential bribery involved. An investigation was initiated subsequently in the Maldives parliaments. Likewise, Pacolli claimed that Nigeria, Uganda and Mali recognized Kosovo as a result of his lobbying, but no official notifications were released. Moreover, in 2012, in his capacity as deputy prime minister, Pacolli concluded a controversial investment agreement with Imo, a state in Nigeria, which opposition parties and some anti-corruption NGOs said constitutes a conflict of interest and harms Kosovo’s drive for diplomatic recognition. This model of proliferation of external representation has led to a situation where there is an overlap of competencies and where the MFA is in many ways subordinated. Matters got worse in 2010 with the creation of a new government between PDK and AKR, when a new pattern of foreign policy organization was established. In the new government, apart from the Minister of Foreign Affairs Enver Hoxhaj and his two deputies, there was a Minister for European Integration, and two deputy prime ministers who were engaged in foreign affairs. Deputy Prime Minister Behgjet Pacolli was charged with the special task of obtaining more recognition while Deputy Prime Minister Edita Tahiri, who leads Kosovo’s negotiating team in the dialogue with Serbia, also served as Kosovo’s foreign policy envoy. Since 2010 the Ministry of European Integration has become a stakeholder in foreign policy as it maintains the specific lines of communication with the EU. French President Francois Hollande welcomes Kosovo’s President Atifete Jahjaga, center, and Kosovo’s Foreign Minister Hashim Thaci, left, at the Elysee Palace, Paris, Sunday, Jan. 11, 2015 to honor the 17 victims of three days of bloodshed in Paris that left France on alert for more violence. | Photo: AP/ Beta. 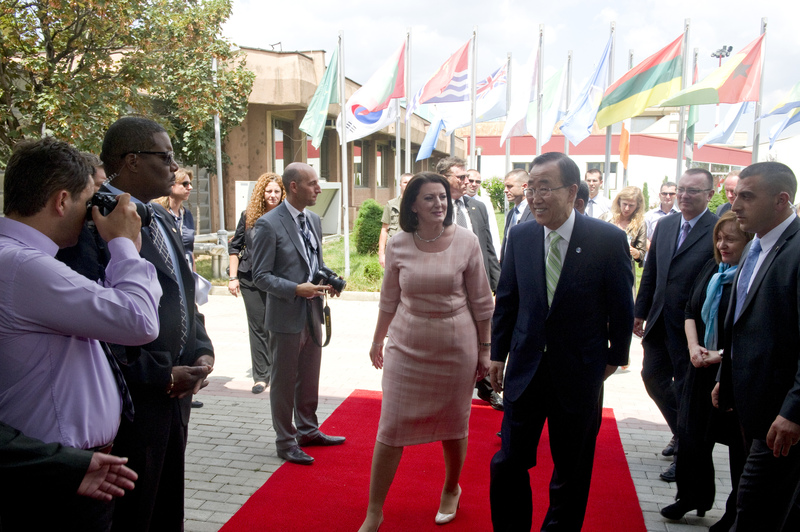 Kosovo’s previous president Atifete Jahjaga was also very active in foreign affairs, thus playing an important role in the country’s affirmation internationally. Being the first female president from the region, she was particularly active in various international networks and initiatives on women’s rights, as well as on war victims. Nonetheless, this model of proliferation of external representation has led to a situation where there is an overlap of competencies and where the MFA is in many ways subordinated. The MFA reestablished its dominance in foreign policy in late 2014 with the election of Hashim Thaçi as first deputy-prime minister and minister of foreign affairs in the PDK-LDK coalition led by Isa Mustafa. Although a political heavyweight, Thaci didn’t leave a mark in foreign policy during his mandate until early this year, when he was elected the country’s new president. During his term as MFA, Kosovo managed to gain just a single recognition by a UN member (Antigua and Barbuda) and failed to join UNESCO. 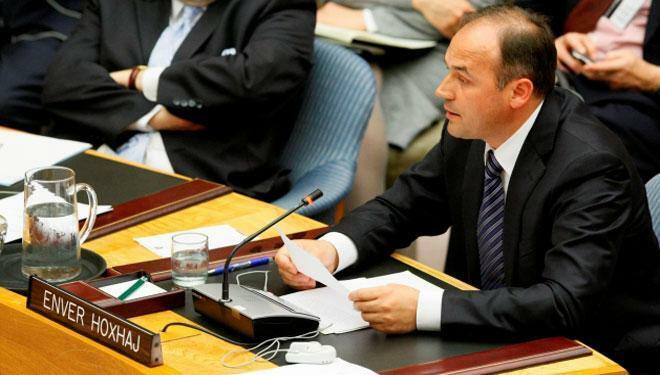 Following Thaci’s election as President of Kosovo, Enver Hoxhaj has been reinstalled as Minister of Foreign Affairs. Under his new mandate Kosovo has gained a recognition (by Suriname) and Hoxhaj has appeared certain that by the end of the year, three more countries will recognize Kosovo. Nonetheless, Kosovo seems to have lost the momentum to gain wider international recognition, as well as membership in international organizations. The ongoing conflict in Syria, Brexit, and the institutional crisis within the EU have all contributed to pushing Kosovo off the agendas of great powers. This is certainly reflected in the current stalemate regarding international recognitions, most notably by the 5 EU non-recognizers, as well as lack of progress in membership in international organizations. The one positive aspect in relation to the EU is the signing of a Stabilization and Association Agreement between Kosovo and the European Union in 2015. For its part, Kosovo has done a great deal in making things more difficult in international relations. The ruling parties have gradually but steadily managed to politicize the foreign service by appointing party people at all levels as well as failing to improve the system when it comes to its day-to-day functioning. In 2015, the MFA had a staff of 272 people and a rather symbolic budget of roughly 20 million euros, where 1/3 of it was dedicated for salaries and per diems. In addition, the MFA does not have encrypted cables yet and lacks trained diplomats and servicemen. Such structural and budgetary constraints undoubtedly limit the scope of action in foreign affairs and diplomacy. In sum, more than eight years since the declaration of independence and the initiation of the process of building independent foreign policy institutional mechanisms, various legal, institutional, political, and material constraints have hindered Kosovo’s efforts to establish a fully-fledged and independent foreign policy. Regardless of the support from major countries such as US and many EU countries and active engagement in public and digital diplomacy, in the case of Kosovo, limited international recognition means limited presence in international relations and limited access to international organizations. In many ways, Kosovo’s foreign and diplomatic service mirrors its political system at home. It has been politicized from the outset and has become a means for maintenance of party networks and dominance over the state by the two main ruling parties, PDK and LDK. Just like other domestic institutions, its human, financial, and organizational resources are rather limited, with narrow individual, group/party interests prevailing over the state interests of Kosovo. In an article entitled How to Start Your Own Country in Four Easy Steps, Joshua Keating argues that starting a new country and gaining recognition isn’t impossible, it’s just going to require a lot of patience (the longer you wait, the better your chances become) and the right friends. The (only) good news, then, is that Kosovo has got both.